The destruction, vandalism, and removal of political campaign signs is a criminal act . Violations carry a fine of up to $1,000 and a jail sentence of up to six months for each act if convicted. 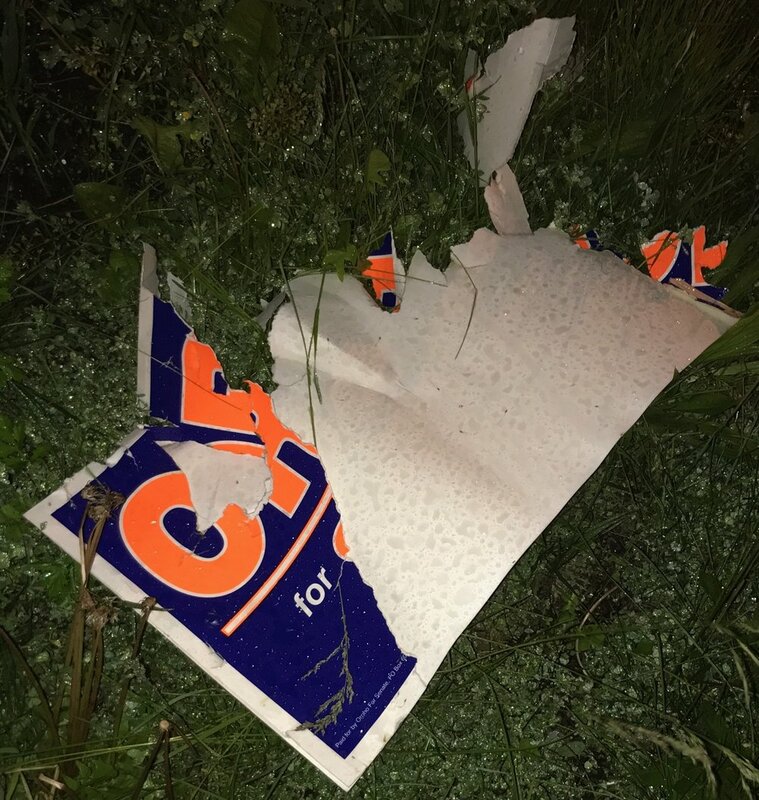 Over the past two weeks, several citizens have contacted Watchdog about people destroying political signs on roads in Sussex County. Without exception, the reports we've received have concerned signs targeted and vandalized belonging to Senator Steve Oroho and his running mates Assemblyman Parker Space and Assembly candidate Hal Wirths. If you see this activity, photograph or videotape it if you can. Take down the license plate number and get good descriptions of the wouldbe criminals. You can forward the information directly to the county prosecutor's offices. Good luck catching your bad guy!